This franchise is operated by the Pensacola Division. On December 7th, 1981 Buffalo Rock Company purchased Crawford Beverages from Crawford Lindsay. 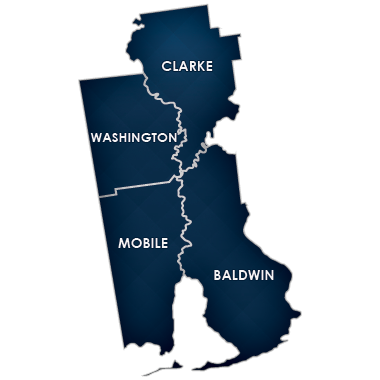 This Mobile Franchise acquisition marked the fourth Pepsi franchise purchased by Buffalo Rock and included the counties of Baldwin, Clarke, Mobile and Washington. In 1983 the Full Line Vending department was added which expanded the division’s service capabilities to include snacks, food and drink vending. 1984 brought the addition of Maxwell House Coffee and other Kraft Foods items. This was the beginning of our full beverage concept. In August, 1993 the purchase of Central Vending doubled the size of the already formidable Full Line Vending department. 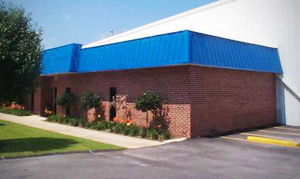 Buffalo Rock Company purchased The Pepsi-Cola Bottling Company of Pensacola, including the Fort Walton, Florida distribution center in November, 1984 from the Hooper-Bass family. This acquisition added the counties of Escambia, Okaloosa and Santa Rosa to the Pensacola Division territory. Today, Buffalo Rock Pensacola Divisions is recognized as a leader in the beverage industry totally committed to their customers and serve as a pillar in the community. We service a population base in excess of 1,200,000 people: we distribute soft drinks and vending services throughout Escambia, Santa Rosa and Okaloosa, Florida counties servicing over 600,000; and in Alabama, servicing over 600,000 people in the counties of Mobile, Baldwin, Clarke and Washington. The Buffalo Rock Company is to be the premier provider of beverages and snacks. Our goal is to cultivate profitable relationships with our customers by providing superior products and services with professionally trained personnel and state of the art equipment. Our success is measured daily by customer expectations, effectively involving ourselves in the community and continuously improving the lives of our people both professionally and personally.